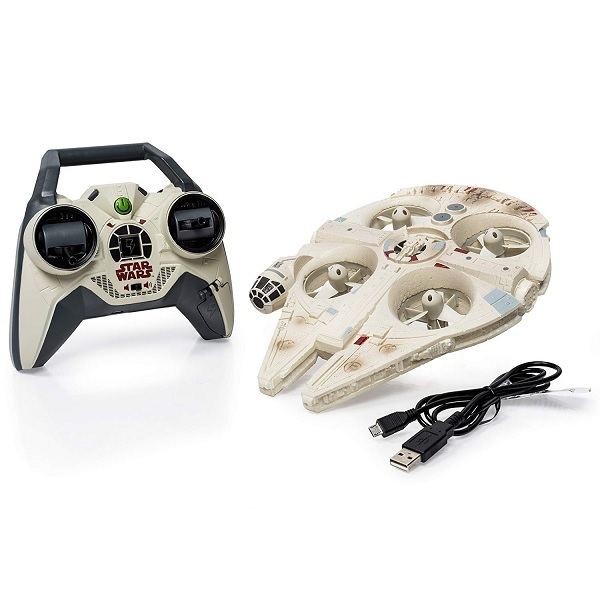 The intuitive Remote Control is easy to use and makes flying the Millennium Falcon simple. It’s 2.4GHz communication allows for a huge flying range. Navigate the asteroid fields of your own backyard from up to 200 feet away with superior control. The Millennium Falcon is constructed from impact resistant foam making it resilient to minor crashes. The foam core ducts provide the rotors extra protection when flying indoors and outdoors. Fly the most iconic ship in the Star Wars universe right in your own backyard, The Millennium Falcon only from Air Hogs.